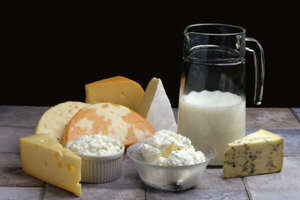 Dairy is a type of food created from animal milk for human consumption. It is generally from cows or goats, but can also be from buffalo, sheep, or horses. 10% of BC’s dairy production takes place on south-east Vancouver island.